Log on to your EasyWebshop enviroment. 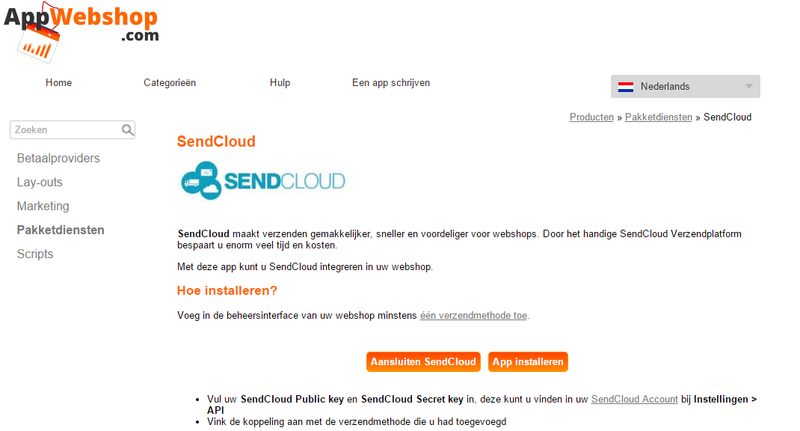 By using this link you will find the SendCloud app in EasyWebshop. Here you can click on 'Install app' and right after installing 'Confirm'. Make the connection complete when EasyWebshop will ask for the SendCloud API Public & Secret key.